The Rupes Microfiber Pad Fine helps you remove light to medium imperfections in less time! This pad is an improvement on the older Rupes microfiber pads, with the thin profile, fibers that mat down less, and increased overall durability. This new technology helps you perform some light cutting work, removing light swirl marks and restoring an optically clear surface. Use this pad with a light polish, like the Keramik Gloss Fine Gel Polish. 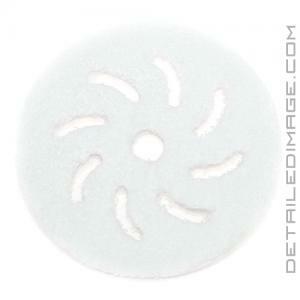 During polishing, clean these pads with compressed air, or brushing with the Rupes Claw Pad Tool. If you have heavy imperfections, use the Rupes Microfiber Pad Coarse and follow up with these Microfiber Fine Pads for best results. 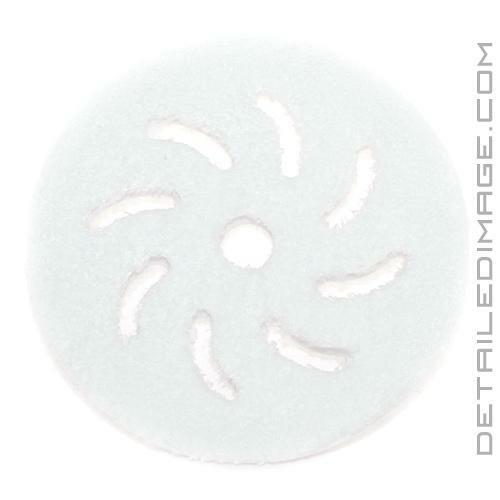 If you are looking for a light cutting microfiber pad, look no further than the Rupes Microfiber Pad Fine! I was working with hard Volvo paint and the foam pads did not cut enough. I was very pleased with both the coarse and fine pads, which quickly removed stubborn defects. I paired these pads with Rupes polishes. As a first time customer I'd like to let you know that I will definitely be returning!